Start Using Your Cricut – A Card, A Favor Bag and A Book Mark. Having day dreamed for far too long about what I am going to make with my Cricut Explore Air 2 I have spoken to myself sternly and have resolved that this week is the week of actually getting down and making things! How can such a beautiful looking machine make me feel rather nervous? I don’t know, do you feel out of your depth with your Cricut? Let’s get started on our Cricut journey together and make a card, a favor bag and a book mark. I am learning how to create my own SVG files of my own designs, but am not proficient enough yet to offer them here, but watch this space! For these projects today I am using Free SVG files from Dreaming Tree which has some lovely projects using your Cricut. As well as an extensive catalogue of free SVG files they also sell SVG’s. Their help section is great and their files work for the Cricut, Silhouette and other Die Cutter machines. Whichever machine you are using and whether you have a Mac or Windows based computer there are help subjects onsite. Floral Note Card & Envelope CLICK HERE to access the files. Mini Floral Favor Bag CLICK HERE to access the files. Nouveau Book Mark CLICK HERE to access the files. To download file from Dreaming Tree you simply register with them – the usual contact details and password is needed no credit card details are asked for. Once this is done just click on the Free SVG Files tab at the top and work through 7 pages of free files so plenty to chose from. Or you can click on the links above and go direct to the files for the 3 items I made. When you find something you like just click Add To Cart. When you are finished go to cart check out, you’ll see that there is zero to pay and you can download the files. Easy Pezzy! Whilst you are on the site do go and have a browse at the paid for files. They have some lovely objects and they only cost a few dollars so very reasonable in my opinion. I’ve got my eye on a couple of files I am going to buy and make for Halloween. Dreaming Tree also have material lists for each project and in a lot of cases they offer video tutorials on how to construct your project. Talking to other crafters this is an area where you can get tripped up and spend time trying to transfer files into the Cricut Design Space. 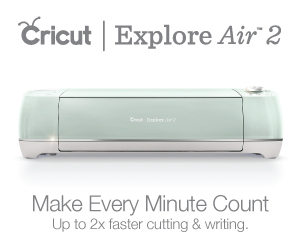 Here are some tips to help you start using your Cricut. Firstly I suggest you make a file specially for your SVG files so you know where to find them when you need them. I then make a separate file for each project under the main SVG File. This way you won’t waste valuable craft time hunting round for files that you know you have saved off, but can’t remember where! Secondly include in the file name for the project the name of the website where you downloaded the file. For instance for the card I am making in this post I named the file “floral.card.dreaming.tree” so I can find it again easily and know where I got it from. Thirdly remember to unzip the file. A tab normally appears on the top bar asking if you want to unzip. 6 Locate the file you wish to upload. Remember you can’t upload the zip file you can only upload unzipped files. If you try to upload a zip file an error message will appear so just cancel that upload attempt and go back to the beginning and upload the SVG files. 8 Add in some tags – for example this is the tag for one of the Floral Bag files “Floral Bag Dreaming Tree 2 of 4”. Doing this reminds me that I need to locate on Design Space and cut the other 3 files to make the project. Once you have gathered together the various files for a project you can then save it as a project on Design Space – I’ll explain about that in another post. 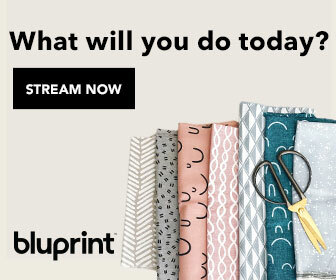 So upload your files, follow the instruction on Design Space and let’s start using your Cricut! I am so proud of myself ! I have just spent a blissful morning learning more about my Cricut and seeing what it can do. The Dreaming Tree website is wonderful and you could spend several hours roaming around choosing what to make! I’ve attached images of my card, favor bag and bookmark so you can see what has been achieved. Are you like me are you really happy and contented when you are working on a craft project. The time seems to slip by so effortlessly and I am sure a herd of elephants could have paraded through where I was working and I wouldn’t have noticed! It will be a great thrill when I can start sharing my own designs with you via free SVG’s. The course I am working through is brilliant, I just know I am going to be able to create some amazing projects, I have so many ideas whizzing round in my brain. It’s a gift to feel so enthusiastic about something and I hope that using your Cricut has the same effect on you. Do let me know if you make items from Dreaming Tree. Send me photos and I’ll include them on here. It’s always a joy to share our results with others isn’t it?